Judd Parkin is a highly regarded television writer and producer. He has written a wide assortment of telefilms and was nominated for an Emmy in 2000. Prior to his successful writing/producing career he was an executive with both ABC and NBC. He is the author of the new book, "The Carpenter's Miracle." 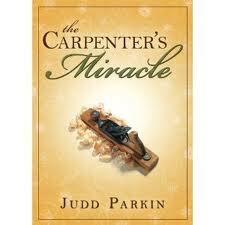 "The Carpenter's Miracle" is currently available at amazon.com, borders.com and will soon be in book stores throughout the country. I had the privilege to interview him recently and we discussed his first published novel and some of his adventures in the world of theater and television. Parkin is from Chicago and his mother is a resident of our fair city. Judith: How did "The Carpenter's Miracle" happen? Where did the idea and story come from? Judd: Strangely enough, I have George W. Bush to thank for the book. I didn’t agree with a lot of his policies, but I was angered on his behalf by how the media portrayed his religious faith. First off, such a thing is no one’s business, even if the man happens to be President. Secondly, the great majority of what was written about Bush’s faith was ridiculously over-simplified, misinformed, or just plain wrong. Anyhow, it got me to thinking about how the media would respond if a Jesus-like figure suddenly appeared in the modern world. I kicked this idea around in my head for a couple of years before I finally got around to writing it. Judith: I checked out the link on Amazon. Was it a finer than fine moment to see your book and your name listed as author on Amazon? Judd: It was definitely a surreal moment to see my name listed as an author. I’ve grown used to seeing my name on film credits, which is a special thing in its own way. But film is a collaborative medium, and it takes an army to make a movie, whereas a book, for better or worse, is your creation. If someone doesn’t like a movie I’ve made, I can always blame the director or actors, but if someone doesn’t like “The Carpenter’s Miracle”—well, there’s no place to hide. You feel very naked when you send a book out in the world, but so far the response to it has been very positive, which is tremendously gratifying. If people didn’t respond favorably to the book, I would take it as badly as if someone was mean to one of my children. Judith: Do you plan on adapting the book into a screenplay? Interest from networks yet on the book as a telefilm? Judd: I would love to write a screenplay of the book, and I have hope that this will happen. A producer friend has been testing the waters, and so far, the responses we’ve gotten back tend to fall into one of two categories: “Too religious” and “Not religious enough.” That’s okay, because it’s pretty much the same response I got initially when I tried to find a publisher for the book. I take the long view on these things, because I’ve learned from experience that movies never happen on the timetable or in the circumstances you expect. The one thing that’s predictable about the movie business is that it’s unpredictable. Judith: Do you have plans for another book? Judd: I do. I have three different ideas that are fermenting in my head right now, and eventually I’ll write the one that I find myself thinking about the most. The biggest problem is finding the time in which to write it. I wrote “The Carpenter’s Miracle” over a two-year period between movie projects, which was very frustrating because I had to keep putting it aside, and then start working on it again six months down the road. Judith: What's the craziest story (you can SHARE with us here) that happened to you while working at the networks? Judd: Oh, boy, just one? This could take up the entire interview. I suppose the one that sticks in my mind most is the Gary Hart/Donna Rice scandal. That was a media bombshell, maybe not as big as Michael Jackson’s death, but close. All the networks were chasing Donna Rice’s rights to make a movie of the story, and somehow we at ABC got the inside track. The media was literally hounding Ms. Rice’s every step, so for the meetings we had with her and her representatives, everyone had to use code names and give a password. It was like being in a James Bond movie. Ms. Rice was very nice, but understandably shellshocked by the whole experience. In a predictable Hollywood ending, the movie never got made, which was probably a good thing for everyone concerned. Judith: Judd, you were raised in the Chicago area? How did your youth, your coming of page period in Chicago influence your life and your career? What was your childhood like? Judd: I can’t imagine a better place to grow up in the mid-20th century than Chicago. I may be romanticizing the experience, but in my memory my childhood is like a mash-up of the movies “The Sandlot” and “Stand By Me.” I was fortunate to have two great parents who raised me with what I think of as core Midwestern values—devotion to family and hard work, as well as a wariness toward fads and pretense. Every summer, my folks would ship me out to work at my Uncle Merrill’s dairy farm in Iowa, where I would ride ponies, and help bail hay, milk the cows, and shovel cow manure in the barn. For a city kid from Chicago, this was heaven on earth. Being in Iowa those summers probably taught me more than I have ever learned since about the kinds of movies and TV series real people watch, and what sort of books they read. Chicago itself seemed like the center of the universe at that point in time. I got to witness many major historical events, including being downtown at the Palmer House on the day when all hell broke loose in Grant Park in August, 1968. This was the day when “Da Mayor” infamously said, “The Chicago Police are not here to create disorder, they’re here to preserve disorder.” I was in downtown Chicago with three friends, and somehow my father managed to get through all the police barricades to pick us up—I still don’t know how he managed that. 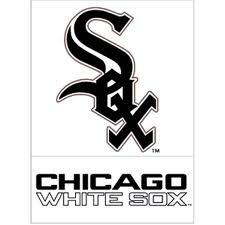 Judith: Cubs or White Sox? Judd: I rooted for the White Sox when I was very young because I adored Nellie Fox. I still have a tobacco-store figurine of him on my bookshelf. But when the Sox traded Fox to the then-Colt 45’s, it just broke my heart, and I switched my allegiance to the Cubs. Plus, being a North-side kid, it was a lot easier for me to get to get to games at Wrigley Field, which I still believe is the most beautiful ballpark in the world. My favorite player in that period was Billy Williams, because he was the ultimate no-nonsense pro. And I thought Jack Brickhouse was God. Judd: As a kid, I was obsessed with fossils and dinosaurs, so I thought the Field Museum was just about the greatest place on earth. In many ways, I still feel this, and my heart still quickens every time I go there. I loved the Art Institute, the Museum of Science and Industry, and the Chicago Historical Society, which for some strange reason has been re-named “The Chicago History Museum”, which is just plain wrong. I already mentioned Wrigley Field, but I should also put in a plug for Hackney’s—no trip home to Chicago is complete without having their onion loaf and a burger on dark bread. And a trip to Garrett’s Popcorn is absolutely essential. Judith: Aah yes. I met you for lunch at Hackney's, so I should have guessed that one. Judd, did you come from an artistic family? Judd: I did. My mother is a classical singer who had a terrific voice when she was younger, and who’s still pretty damn good as she closes in on her eighty-sixth year. She taught voice at Roosevelt University for many years. Our house was sort of a revolving musical salon of incredible vocalists and instrumentalists, and my three brothers and I were taught early on to get up and join in. My mother and brothers are annoyingly good musicians, much more talented than I am. One of the biggest mistakes I’ve ever made in my life was not spending more time on my piano lessons. I can still plunk out Randy Newman tunes and Christmas carols, but I wish I were better. My mother used to warn me that I would regret not working harder at the piano, and, much as I hate to admit this, she was right. Judith: You started as an actor. A theater major. Share some of the experiences with us? Why did you want to go in that direction? What was the appeal? Where did that road lead? Judd: Well, there is no experience as exciting as an opening night in the theatre. I love film, but it can’t capture the sense of being in front of a live audience for the first time. I still miss it. I enjoyed being an actor, and had reasonable success at it—I played Hamlet and a lot of other major roles. In terms of strange experiences in the theatre, I had to go onstage in the summer of ’74 in a production of A MIDSUMMER’S NIGHT DREAM the night Nixon resigned, which was surreal. During this frothy comedy, the audience sat there in stunned silence, and those of us onstage were just as shellshocked. I figured out early on that acting wasn’t the life for me. Being an actor is incredibly tough, and I just didn’t have the stomach for the constant rejection. As far back as high school, I’d always been more interested in writing, producing, and directing because then you were in control of the whole canvas. So I suppose it was inevitable in some ways I would eventually gravitate to writing and producing films. Judith: You made a transition to the executive side of the television business at not one, but at two of the "big four" broadcast networks. What were some of your accomplishments at NBC and ABC? Judd: My life as an executive was “career-by-accident.” I first started working in the NBC Story Department as a staff reader, and was later promoted to the Miniseries Department when Brandon Tartikoff, who was a mentor to me, discovered I could read long books quickly, which was my ace in the hole. Brandon liked people who read books and enjoyed them—based on his Yale education, I suppose—but he had a wonderful vulgarity, and he enjoyed the ratings of “The A-Team” as much as he enjoyed the Emmys NBC received for “Hill Street Blues.” Of the shows I worked on at NBC, the one I think back on most fondly is “Fatal Vision.” It was a very good movie, I think, and it got huge ratings, but the reason I liked it was because it paired Karl Malden and Eva Marie Saint as the leads, and they were two heroes of my youth. Karl Malden won his only Emmy for that show, incidentally. At ABC, I was very proud of “Separate But Equal,” “Family Pictures,” and “Son of the Morning Star.” None of those shows did particularly well in the ratings, but they won critical acclaim, and “Separate But Equal” got the Emmy for best miniseries in the days before HBO started sweeping that category. I still have great fondness for the Stephen King miniseries I was involved with, especially “IT” and “The Stand.” Stephen King is a class act, and he is one of the funniest guys I have ever met. Plus, he named a character after me in his miniseries “Storm of the Century”, so how can I not love the guy? Judith: Just so I can say it, I loved "Son of the Morning Star." It's a wonderful mini-series that evoked its era better than most feature films. Any thoughts on the making of the telefilm? For the record, I love Gary Cole. He should have had a much bigger career. It's notable, but it should have been bigger. Judd: I thought “Son of the Morning Star” was an excellent film, one of the best I’ve had the good fortune to be associated with. Even though the critics loved it, it didn’t do well in the ratings because it aired at the beginning of the first Iraq War. I don’t think anyone in the U.S. at that point wanted to see a movie about a great military disaster, perhaps the greatest in our country’s history. So the timing was very unfortunate, but that didn’t diminish the achievement of the film. It featured a lot of fine actors who later became famous for other roles, such as David Strathairn and Terry O’Quinn. 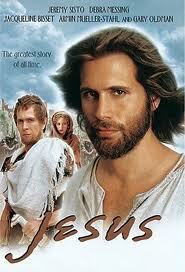 And, yes, Gary Cole is a superb, much-underrated actor, mainly, I think, because he makes it look so easy. Playing Custer was an incredibly difficult thing, because there are so many conflicting emotions surrounding Custer. But even Custer-enthusiasts—and they are a loud and opinionated group—loved his performance. Judith: You were notorious for not wanting to be the "Hollywood" guy. Did you ever attend an Emmys broadcast? How did you balance your fondness for the media and the arts with your anti-I don't want to do that attitude? Judd: I have never had much patience for anything in the entertainment industry that isn’t directly related to the work. If you’re not careful, you can be dragged into a lot of functions and parties that waste a lot of precious life hours. I went to the Emmys twice, once when I was a network exec and my wife was pregnant with our first child. We spent most of our time shuttling her to the bathroom, and every time we came back there would be these “seat-fillers” in our seats, so that the auditorium wouldn’t look empty to the TV audience at home. That was annoying, plus seeing the show live was like watching paint dry. I have never understood the appeal of awards shows. I didn’t go the Emmys again until I was nominated for “Jesus,” and even then I only agreed to go because my wife and kids were more excited about it than I was. I would have preferred to stay home and watch the U.S. Tennis Open, which was on TV. Once again, I was bored out of my mind, and having to wear a tuxedo just added insult to injury. But my wife and kids looked very handsome in their finery, and we got a good family Christmas photo from the experience, so it wasn’t entirely a lost cause. Judith: How did you segue from television management to your producing/writing career? Judd: It was a natural segue for me, because it’s what I had wanted to do all along. In some ways, it was like going back to the theatre for me. When you’re an executive, you’re essentially a traffic cop overseeing other people’s creative work, but as a producer and writer, you’re actually making the shows; and because of my theatre background, that was something I felt very comfortable doing. Judith: As a writer and producer you have developed a reputation for making faith based and Christmas (close) projects. Did you intentionally go in that direction? Jesus, a Pope and love stories at Christmas! Judd: Again, this is an instance of “career-by-accident”. No, I didn’t intentionally choose this path, it chose me. But I suppose there was some sort of design there. When I began producing and writing I felt very strongly that I didn’t want to be involved in projects that were sensationalistic, demeaning, or violent, and that sort of limits your options. Christmas stories were sort of a no-brainer for me, because I have always loved “Miracle on 34th Street,” Alastair Sims' “A Christmas Carol” and “It’s A Wonderful Life,” and I wanted to try my hand at a few things in that genre. Judith: You were nominated for an Emmy for the 2000 mini-series on Jesus that aired on CBS. How did you cast Jeremy Sisto? Judd: Jesus” was the toughest film I’ve ever been involved with because I was aware, at every step, of the responsibility involved. I used to lie awake at night worrying if the show would come out okay, because if it didn’t, I would have to answer to my family, especially my youngest brother Jason, who’s an Episcopal priest. It was an enormous responsibility because you’re dealing with people’s faith, and I didn’t take that lightly. I have many memories of working on “Jesus”, but the one that sticks in my mind most was the day when we were shooting the Sermon on the Mount sequence. We were in Morocco, and the temperatures were upward of 115 degrees, and we had a crowd of 2,000 extras, almost all of who were Muslims. Here were these folks, standing in the blistering sun to make a day’s paycheck on a movie about the Christian Messiah. I don’t think I’ve ever met a nicer or kinder group of people. During breaks in filming, they would face east toward Mecca and pray, and their devotion to their faith was deeply moving to me. It made me stop in the middle of my busy day as a producer and say prayers, too. After 9/11, when certain segments in the U.S. would demonize Muslims, I would often think back to that day. It taught me, forever, that you cannot demonize an entire people based on the horrible actions of a few extremist idealogues. That was a very good life lesson to learn, and it has sustained me through many awful events in this new millennium. Casting Jeremy Sisto was easy. The director Roger Young and I saw a long succession of actors, but when Jeremy came in, we looked at each other and said, “That’s the guy.” There was something about his essential nature—a goodness and kindness—that made you want to spend time with him. He’s also a fine actor, and one of the nicest men on earth, which didn’t hurt. Judith: Are you still interested in acting? Judd: God, no. I could only play evil lawyers on “Law and Order”-type procedurals, and I’m too old now to play Harold Hill in “The Music Man”, so any acting ambitions have been put to rest. Judith: Who have been your favorite actors, writers and directors? Current and all-time favorites? Judd: It would be hard to beat Richard Burton and Peter O’Toole when they were in their prime and actually trying. Screen acting doesn’t get much better than O’Toole in “Lawrence of Arabia”—the only thing on par is Brando in “On the Waterfront”. But I also loved guys like William Holden, Frederic March, Paul Newman, Henry Fonda, and Joel McCrea, because they represented a particular kind of American decency. I wanted to be William Holden when I grew up, and I’m still trying. Of the guys who are working now, Daniel Day Lewis is about as good as it gets. And I think Bill Murray may be the most sublime character actor of the modern age, although I might be biased because he’s from Chicago, but, boy, is he good. His performance in “Rushmore” was one of the best I’ve ever seen. Stillman. But my North Star is Preston Sturges. If there are two funnier films than “The Lady Eve” and “Unfaithfully Yours”, I haven’t seen them. Judith: Which artists have influenced you? Judd: I’d have to say Shakespeare, Dickens, Twain, and Bach. I can’t imagine four greater minds, and their works are endless. Every time I delve into their words or music, I get horribly discouraged and think, why bother? Everything that could be said about the human condition is contained in their works. But their example also inspires me, and makes me want to keep trying. Judith: Which artist(s) of the last 50 years are the most significant? Judd: This probably sounds goofy to say, but Charles Schulz had a tremendous influence on me. In a cartoon strip of kids with funny-shaped heads, Schulz somehow captured an existential sense of isolation and longing, as well as the comedy of the human situation. It’s an astounding achievement, and as many times as I’ve read all the strips, I still can’t quite figure out how he did it. Robert Frost was also a great influence on me. He was the first writer who made me realize that words matter, and when I read his poetry as a kid it was like the skies had opened. I can still do fairly decent recitations of “Stopping by Woods on a Snowy Evening” and “Fire and Ice”. Judith: A favorite all-time book? Judd: “The Adventures of Huckleberry Finn.” I have given up counting how many times I have read it. Besides being a great book, it has a deep personal resonance for me since I grew up in Midwest. I keep a wonderful abridged recording by Garrison Keillor on my iPod and listen to it whenever I need a pick-up. Some people listen to The Carpenters, but I listen to Huck and Jim on the raft at night. I’m not sure what this says about me. No matter how many times I have read the section of the book where Huck decides not to turn Jim in, I still get choked up when Huck says, “All right, then, I’ll go to hell.” It’s the funniest, most heroic, and moving section in any book by an American author. Anyone who thinks otherwise can meet me in the alley and we will duke it out. Judith: Is there a project you would so want to do that you would be willing to sacrifice something of consequence for? Judd: I would give at least one of my arms to make a film about the Cortez and Montezuma story. It’s the story of the opening of the Americas. Forget the Mayflower and all those annoying people with buckles and funny hats who allegedly had the first Thanksgiving with the Indians. They were a bunch of religious fanatics who gave birth to the Salem Witch Trials. I am a descendant of the Mayflower folks so I can say this. The Cortez/Montezuma story is the real deal about the opening of the Americas, and the tragic clash of cultures. It’s astounding to me that no one, ever, has made a decent film about this. When you read the accounts of this story—and I’ve read many-- you can’t believe it’s not fiction. It changed the world. Judith: If you weren't a writer what would you be doing? Judd: I don’t have a clue. Thank God people pay me to write, otherwise I’d be a ward of the state, or perhaps a street-corner preacher. Judith: What's the best business decision you ever made? Judd: Not going to the Air Force Academy for college. I wanted to be an Air Force flier like my dad had been in WW II and Korea. My father convinced me that this would be a very bad idea, and he was right. Judith: What keeps you up at night? Judd: Worrying that I haven’t done enough to make the world a marginally better place. Worrying that my wife and kids won’t be proud of me. Worrying about how to pay for my idiot Golden Retriever’s $5,000 knee surgery. 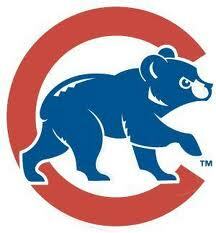 And, of course, the Cubs and Bears are a constant source of concern. Judith: Are your children interested in following your lead and going into the arts/media? Judd: Yes, they all have. My older daughter Claire is a wonderful photographer (Claire Parkin took the photo of her dad that appears at the top of the page) and graphic designer in Seattle. My younger daughter Hilary is a gifted costume designer who works at Western Costume in LA. And my son Sam is just starting his junior year in the theatre department at UCLA, although his first love is really music—he wants to be his generation’s Dylan. So my wife and I didn’t luck out and have one kid who was a doctor or lawyer who might support us in our old age, but that isn’t too surprising since my wife is an artist and I do what I do. But our kids are all incredibly talented, and they have a passion for what they do, so my wife and I feel very fortunate. Plus, our kids still talk to us, enjoy our company, and don’t seem to blame us too much for steering them toward careers in the arts, which is a great relief to me personally. Judith: How do you overcome creative blocks? Judd: I don’t really have creative blocks, but instead have the inverse problem, which is finding the time to get down on paper all the stories I want to write. I blame my family for this, because it seems like someone is always breaking an arm, getting a terrible ear infection, or has been in a car accident. The only time I have had anything resembling a creative block has been when I’ve been contracted to write a screenplay that I don’t really want to write, because it gets in the way of my own stories. Judith: On the positive side, what is your creative motivation? Judd: To tell stories that ideally entertain, move, and maybe even inspire people. Judith: Can you discuss a moment in your career that you will never forget? What is your most memorable career moment? Judd: Meeting Pope John Paul II at the Vatican when we made “Jesus” was pretty special. He came in for the audience with us, stooped and lame, and said “Boun giorno.” And I was thinking, “Holy Cow—that’s the Pope”. Judd, thanks so much for taking the time to chat with me (a fellow Chicagoan). It's been a pleasure to discuss some issues about life and work. Good wishes to you on the release of "The Carpenter's Miracle." The book is published by Bonneville Publishers. I used to work close to Judd's office at ABC, he was probably the classiest act I had ever met in the business 15 years). Wonderful man.